After South Sudan’s official seperation from Sudan in this year’s July, both governments in Khartoum and Juba keep on accusing each other of backing local rebel movements. 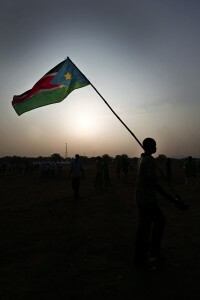 Recently, there have been attacks and bomb explosions in the South Sudanese area of Guffa in oil-rich Unity State. In an attack on a refugee camp alone, at least six people died. The government in Juba accuses Khartoum to be responsible for the attack. Khartoum for its part accuses South Sudan of financially supporting rebel movements in the border regions at the Sudanese side of the border. Meanwhile Khartoum accuses the South Sudanese government of supporting several rebel movements on the Sudanese side of the border. After the declaration of independence these groups found themselves in new Sudanese territory. The SRF is calling upon all Sudanese political forces to reject the path of partial political settlement with the NCP regime and adopt a holistic approach for changing the regime’s seat of power in Khartoum. It is questionable at present whether the newly formed military alliance of SRF can really endanger the ruling National Congress Party (NCP) in Khartoum. What it definitely brings is an additional militarization of the border region which are already affected by the Sudanese military’s battle against the rebels anyway. The villagers of those regions presently await an uncertain and dangerous future.